In honor of Vegbooks’ fourth birthday, I asked our contributors to name their top picks for 4-year-old kids. Here’s what they said. Jennifer Gannett: My choice for 4-year-olds is…. Pizza Kittens! Homa Woodrum recommends Violet Mackerel’s Natural Habitat, Monster on the Hill, and Kevin Henkes’ Penny books. Jane Cowles (who designed the lovely graphic at the beginning of the post): I love Artist to Aritist. Not surprising as I am an artist. I find these books comforting, calming and soothing. I love to look at art books with friends. It is a great way to open a dialogue and talk without social media being involved. This book is a great way for parents and children, friends and family to connect. Huyen MacMichael writes: Oh, I have so many! 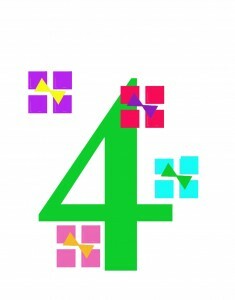 Four is a fabulous age where kids can recognize and appreciate references in fun stories like Jo MacDonald Saw a Pond and To Market, To Market, yet they are also developing more complex senses of humor that makes stories like Crazy Hair, Duck on a Bike, Zen Ties, and Garlic-Onion-Beet-Spinach-Mango-Carrot-Grapefruit Juice favorites. They are becoming more conscious of choices and books like Hero Cat, Bear’s New Friend, Lucky Boy, and Ninety-Five can nurture their empathy and compassionate natures. They are taking such big steps into the world that catchy, rhyming books like Llama Llama Misses Mama can be reassuring. Of course beautiful, expressive illustrations still count! Kristin Wald recommends the Green Chili Jam Band’s album “Coconut Moon” (Amazon affiliate link). She writes: It’s SO GOOD. My kids can listen to “The Islanders” story all day. The album is a beautiful combination of melody and fun. And hold onto your horses, because Jacqueline Bodnar has quite a list! Here’s what she had to say. 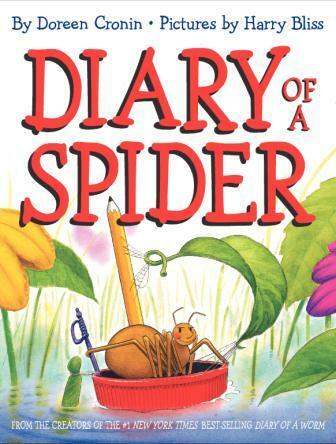 My kids loved these at that age: The Gas We Pass (this book is fun and informative… my kids loved it then and still do); Diary of a Spider (all the diary of books…spider, worm, fly); Marsupial Sue Presents the Runaway Pancake (Kids LOVE this. I read it a 4-year old preschool class and the kids cracked up. They loved it so much the preschool teacher bought it for the room. ); Each Living Thing; Harmony on the Farm; and Bugs by the Numbers (a wonderful and intriguing book for kids and adults alike). As for me? Thinking back to my kiddo at that age transports me to the first year of writing for Vegbooks. I loved then (and still do!) Horton Hears a Who and The Little Yellow Leaf. To see our picks for babies and toddlers, click through to our Favorites page. Did we miss any of your favorites? Tell us in the comments! Happy happy birthday Vegbooks and congratulations Jessica and the other behind-the-scenes folks who work hard on this awesome website!!! So many people love and appreciate it. We STILL love the copy of The Little Yellow Leaf you gave us for a birthday. It’s a perfect book for kids who get nervous in new situations. And it’s incredibly beautiful!